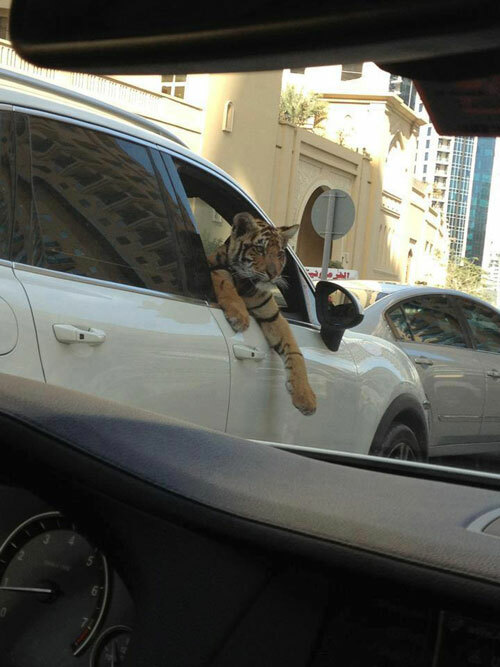 Tigers, Beasts on Dubai Highways? 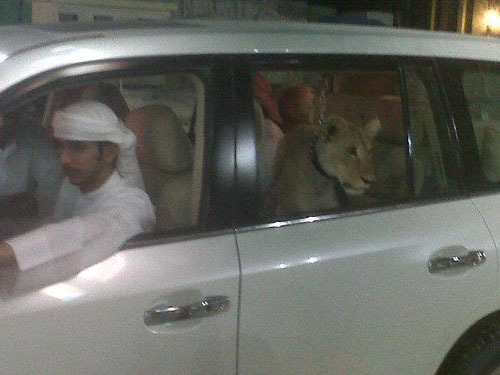 HomeTiger on CarTigers, Beasts on Dubai Highways? 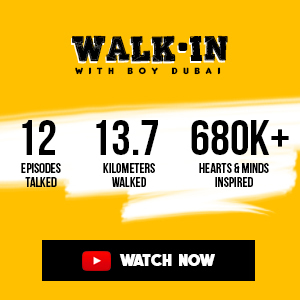 This photo is currently circulating in Dubai Twitterverse. A tiger's head is shown looking out from a black Range Rover. 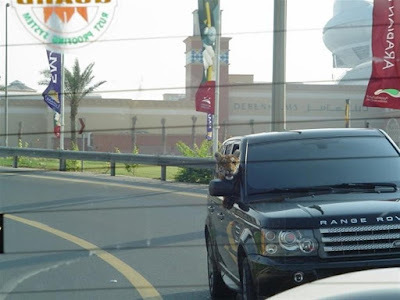 The photo was taken at an exit near Mall of the Emirates. Is it a real tigga or not? 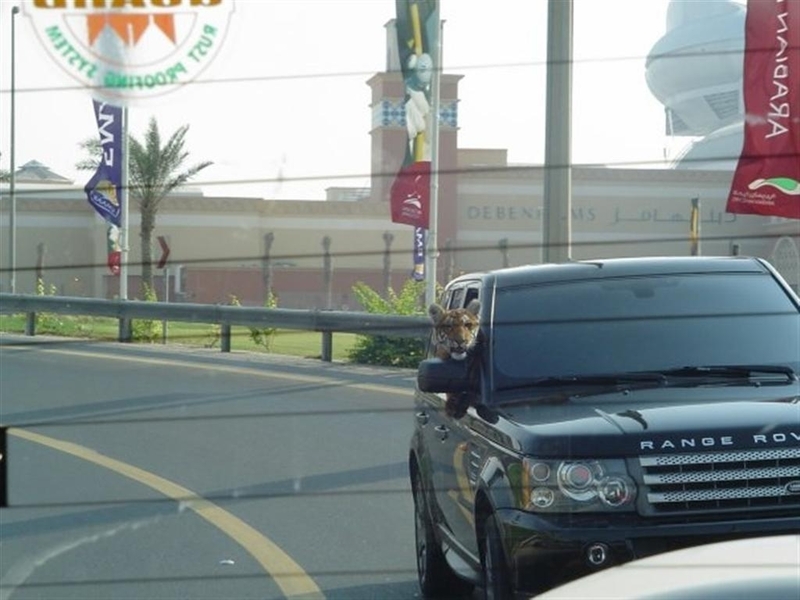 There's always something strange on the Dubai roads eh?